Huntington County Community Schools Corporation has announced the bus schedule for the 2009-10 school year. Following is information regarding this year's textbook rental prices for Huntington County Community School Corporation. Salamonie, Andrews and Northwest schools have announced orientation sessions for their students. Salamonie students in grades six, seven and eight along with their parents are invited to attend Orientation Night on Wednesday, Aug. 12, from 6 p.m. to 8 p.m.
Students will receive their class schedules and can locate their lockers. All Andrews Elementary students must register for the 2009-10 school year. The office is open between 7:30 a.m. and 4 p.m. Monday through Friday to do so. Roanoke's Design Review Committee will soon report on new design guidelines for buildings in Roanoke, says David Harris, a member of the DRC. Harris gave an update on the committee's progress to the town council at the council's meeting on Tuesday, Aug. 4. Huntington County Solid Waste Management District Board of Trustees, 8 a.m., Commissioners' Room, first floor of the Huntington County Courthouse. Huntington Board of Public Works and Safety, 9 am., mayor's conference room, first floor of City Building. 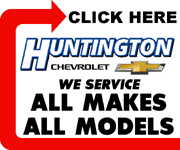 Huntington Board of Zoning Appeals, 6:30 p.m., Council Chambers, third floor of City Building. Roanoke Town Council, 7 p.m., Roanoke Town Hall, 126 N. Main St.
State Sen. Gary "Doc" Dillon (R-Columbia City) has announced that he will not run for re-election in 2010. "It's an honor and a privilege to serve the people in Senate District 17 and I'm thankful for their support and encouragement over the years," Dillon says. "I look forward to spending more time with my wife, four children and our five grandchildren." Since 2002, Dillon has represented Senate District 17, which includes Allen, Grant, Huntington, Kosciusko, Wabash and Whitley counties. The Huntington County Commissioners approved a measure that secures a nearly $3 million grant to resurface several of the county's roads at their meeting on July 27. The grant is a slice of the $27.5 billion designated for highway projects in the American Recovery and Reinvestment Act of 2009, which was signed into law by President Barack Obama on Feb. 17, 2009. Budget constraints may prompt what Huntington Mayor Steve Updike terms a "temporary suspension" of curbside recycling services in Huntington. Updike told members of the Huntington Common Council on Tuesday, July 27, that he wants to cancel the city's contract with Marion Services, the company that currently provides curbside recycling in the city. The Huntington Economic Development Commission has announced a new schedule for its remaining meetings of 2009. The commission will meet Aug. 2, Sept. 1, Oct. 6, Nov. 3 and Dec. 1. All meetings are at 1 p.m. in the mayor's conference room on the third floor of the City Building. Huntington County Board of Commissioners, 8:30 a.m., commissioners' room, first floor of Huntington County Courthouse. Historic Review Board, 3 p.m., Room 204 of the Huntington County Courthouse. Warren Town Council, 4 p.m., Warren Assembly Hall, 131 N. Wayne St.
Huntington County Council, 7 p.m., G.A.R. Room, second floor of the Huntington County Courthouse. Huntington Common Council, 6:45 am., mayor's conference room, third floor of City Building. The Huntington County Board of Zoning Appeals will consider six requests when it meets on Tuesday, July 28. The meeting will take place at 7:30 p.m. in the G.A.R. Room on the second floor of the Huntington County Courthouse. It is open to the public. • A request by Joseph Mandarino, requesting a special exception that would allow him to sell and store scooters at 838 S. Broadway. Five requests for variances from and special exceptions to zoning guidelines will be placed before members of the Huntington Board of Appeals in August. The board will meet on Monday, Aug. 3, at 6:30 p.m. in the City Council Chambers on the third floor of the City Building. • A request by Kroger to place two additional non-illuminated building signs on its fueling center kiosk at 2718 Guilford St. The Roanoke Town Council, during its July 21 meeting, was notified by the Huntington County School Corporation that construction could begin to put a satellite dish on top on the existing Roanoke water tower located on school property next to Roanoke Elementary. The new plan is an alternative to the original proposal of building a stand-alone wireless communications tower. The Roanoke Board of Zoning Appeals had previously denied the school corporation permission to build the new, taller tower. The town of Andrews won't do any more burning for a while, Town Council members decided during their July 29 meeting. Andrews resident Becky Howard came to the council with concerns about the town burn pile located near her home. She says the smoke was extremely thick and made it difficult to breathe, especially during a burn on July 16 and 17. Town Operations Manager Van Juillerat explained that the smoke was thick those dates due to wood chips accidentally catching fire and smoldering. The council agreed to close the area until a better alternative could be found.